$1000 Tax Free Bonus + 10% Raise for All Google Employees! Who says US is in recession? Google today in a company wide email announced that it was giving each of its employees $1,000 cash holiday bonus a 2011 salary hike of atleast 10%! This move effectively makes Google, the most sought after company to work for. It doesn’t end here, Google also said that it was giving each employee an additional raise which was equal to one time target bonus for each employee for the year. 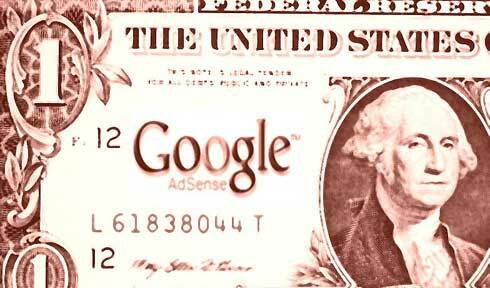 Google also is going to pay the taxes on the $1,000 holiday bonus so employees will get to keep the whole thing. These new decisions costs Google about $20 million more but thats a drop in the ocean when considered to its profits and business which is estimated to be around $20 Billion a year. In a company wide email, Google’s CEO Eric Schmidt explained that move was to thank his employees for all the innovation and also was a result of a recent internal survey where employees rated pay as the most important factor rather than bonuses or equity. It is clear that Google has been loosing many of its employees to other companies and this move would reaffirm the fact that Google is still the best place to work. It also suggests that the company is doing great when it comes to its finances and continues to be strong. Following is the email that was sent to all Google Employees. I’m pleased to share some very, very good news with Googlers worldwide. But first let me say, on behalf of everyone on the management team, that we believe we have the best employees in the world. Period. The brightest, most capable group of this size ever assembled. It’s why I’m excited to come to work every day–and I’m sure you feel the same way. We want to make sure that you feel rewarded for your hard work, and we want to continue to attract the best people to Google. So that is why we’ve decided…to give all of you a 10% raise, effective January 1st. This salary increase is global and across the board–everyone gets a raise, no matter their level, to recognize the contribution that each and every one of you makes to Google. There’s more. We’ve heard from your feedback on Googlegeist and other surveys that salary is more important to you than any other component of pay (i.e., bonus and equity). To address that, we’re moving a portion of your bonus into your base salary, so now it’s income you can count on, every time you get your paycheck. That’s also effective January 1st. You’ll be receiving an email shortly with further details about these changes to your compensation. And one last thing…today we’re announcing that everyone will get a holiday cash bonus, too. Googlers, you are what makes this company great, and our goal here is to recognize you for your contribution, in a way that’s meaningful to you. Thank you for all that you do, and for making Google a place where magic happens. Google Offers Engineer $3.5 Million to Not Join Facebook! Previous Scientists Invent Invisibility Cloak!